To inspire a young generation of leaders who are willing and ready to dismantle the multiple forms of privilege and oppression to create more just and inclusive communities. 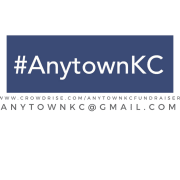 #AnytownKC is a week-long residential program for high school youth and incoming college freshman (ages 15-18) who are interested in learning about social justice issues and practicing their leadership skills to help make their schools and communities more inclusive. During the program, youth reside on a local college campus and participate in facilitated discussion groups, workshops, and experiential activities, to increase their understanding of themselves and respect for others. The program's purpose is to inspire a young generation of leaders who are willing and ready to dismantle the multiple forms of privilege and oppression to create more just and inclusive communities.